Piet van Heerden was born in Nyasaland, now Malawi. He was the son of missionaries who settled in South Africa. He was mainly self-taught but did study briefly under Hugo Naudé. He lived and worked in Hugo Naudé's home from 1939 - 1941. The artist also gave part-time art classes at the Michaelis School of Art. Piet van Heerden was a painter of landscapes, figures and portraits and worked in oil, ink, wash and pencil. Van Heerden held 17 solo exhibitions in South Africa and also exhibited at the Tate Gallery in London for the South Africa Art Exhibition in 1948. In 1952 he was commissioned to do a portrait of the Speaker in the House of Assembly. 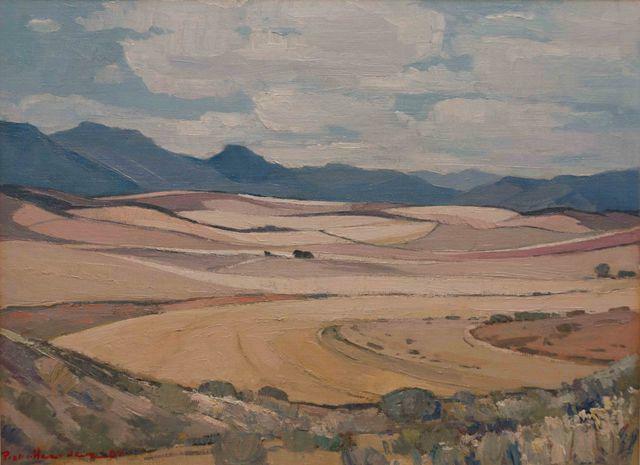 KWV in Paarl also commisssioned him to do a large mural landscape in 1958. The influence of Hugo Naudé and Pieter Wenning is visible in his work. 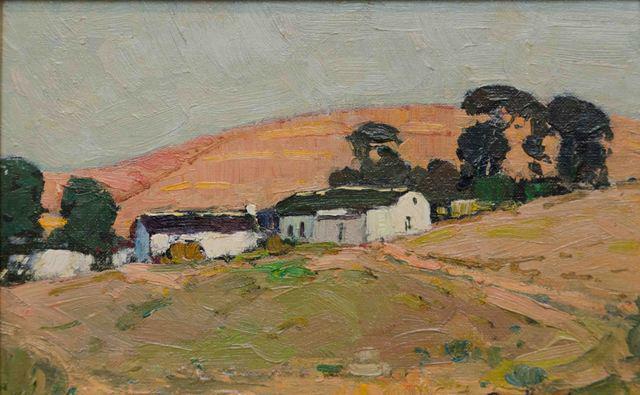 His picturesque views of the Cape countryside won wide popular support. His landscapes have great mood and his use of light renders a very African landscape feeling, often referred to as Cape Impressionism.